At this time of year the bush resounds with a cacophony of cicadas. The first of these insects can be heard from December, but only sporadically. By February/March their numbers are up to full strength, and many an outdoor television interview finds it hard to compete against this backdrop. 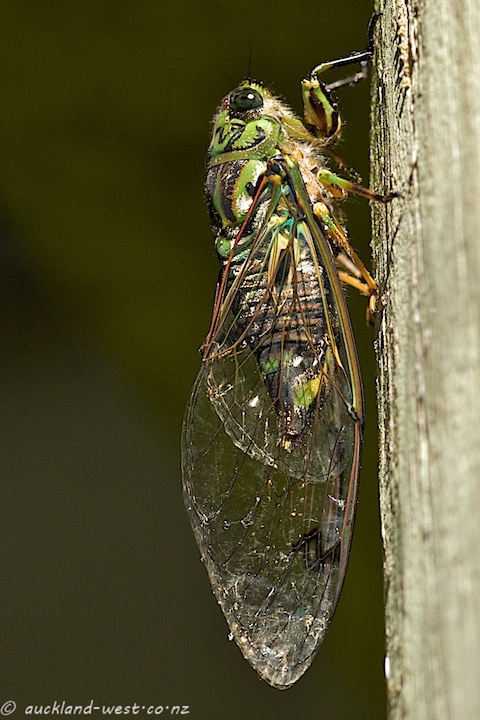 The nymphal stages of the cicada live underground for up to five years. When they leave the ground, they climb a short distance up any tree, shed the old skin and emerge as winged insects.